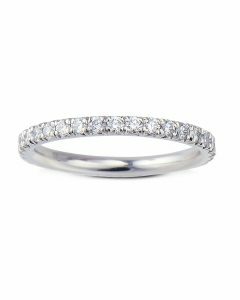 A beautiful elongated cushion diamond halo ring that dances and dazzles in the light. 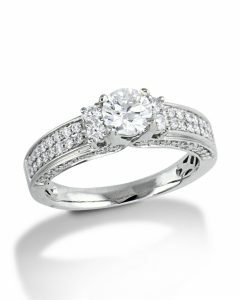 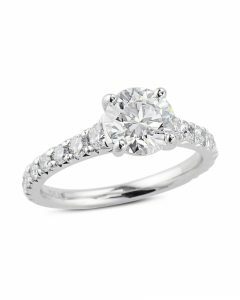 Hand-crafted in platinum, this french set diamond ring features a cushion cut diamond center adorned with perfectly matched round briliant diamonds in the halo and band. 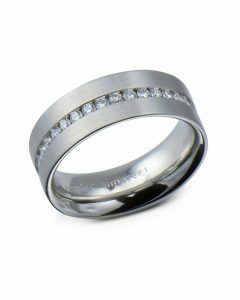 The elongated shape offers an attractive silhouette that looks gorgeous on the hand. 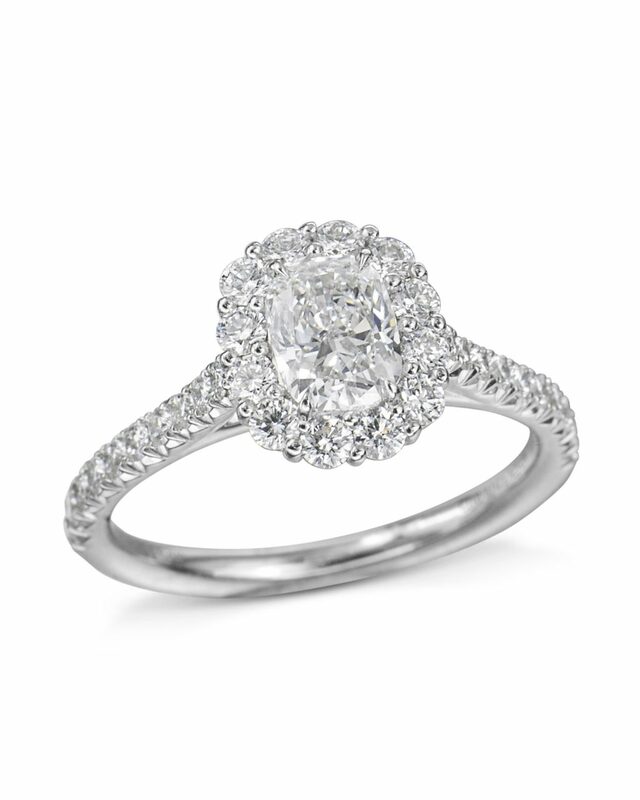 Celebrate the beauty of diamonds with our elongated cushion diamond halo ring.